As someone who has been involved with the Klamath UU Fellowship for many years, I’ve known Julia Jackman for a long time. But interviewing her for our newsletter turned out to be a joy as I realized that, in a sense, I’ve hardly known Julia at all and was so pleased to be getting better acquainted. Julia grew up in Santa Barbara, California and attended the University of California in Santa Cruz, majoring in environmental studies and minoring in politics. It was in Santa Cruz that she met her husband-to-be, Bob Jackman after they had both graduated from UCSC. Bob was then accepted to medical school at George Washington University in Washington D.C., and wanted Julia to come along. However, when she was uncertain that she wanted to make that commitment, having known him for only six months, he just waited, another year as it turned out, until she was ready and they took a two-and-a-half month journey across the country to D.C., where they’d be for four years. 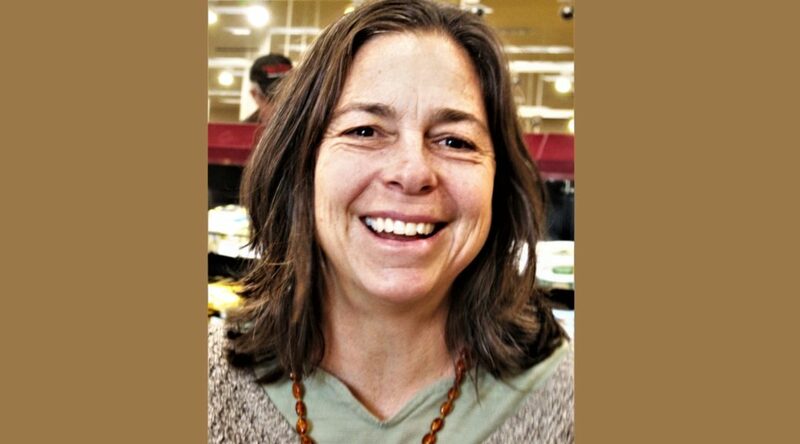 In Santa Cruz Julia had developed an interest in massage therapy, and completed a massage certification program. In D.C. her primary goal was to work in the environmental field, but the first job she got there was working part-time at a massage therapy business. She then also got a job with a consulting company which worked for the Environmental Protection Agency, looking at ways to reduce greenhouse gases through increasing energy efficiency, and then after that at the International Institute for Energy Conservation, which sought to interest other countries in adopting more efficient technologies. However, worthy as those jobs were, Julia realized that she really wanted to work one-to-one with people and so thought she might do a masters degree program in nutrition at Bastyr University in Seattle. Bob was in the Navy, though, while in medical school, and the Navy decided to send him to Pensacola, Florida to do a residency in Family Medicine, (not exactly Seattle) and while there, Julia became pregnant with their daughter, Rowan, who was born in 1995. Fascinated with the process of pregnancy, Julia shifted her focus to pursuing becoming certified as a childbirth educator. Next came a move to Mystic, Connecticut for four years, where Bob trained as an undersea medical officer, and their second child, Rylan, a son, was born in 1998. Julia finds a similar sense of “immediacy and connection” through “Spending time with my two doggies, Poppy and Bella (especially hiking with them, pretty much a daily activity! ), and my horses Luna and Jojo. Animals are so basic, honest, uncomplicated in their motives, and so loving,” and other activities which give her a sense of connection to the physical world, such as gardening, walking/hiking, and cooking. 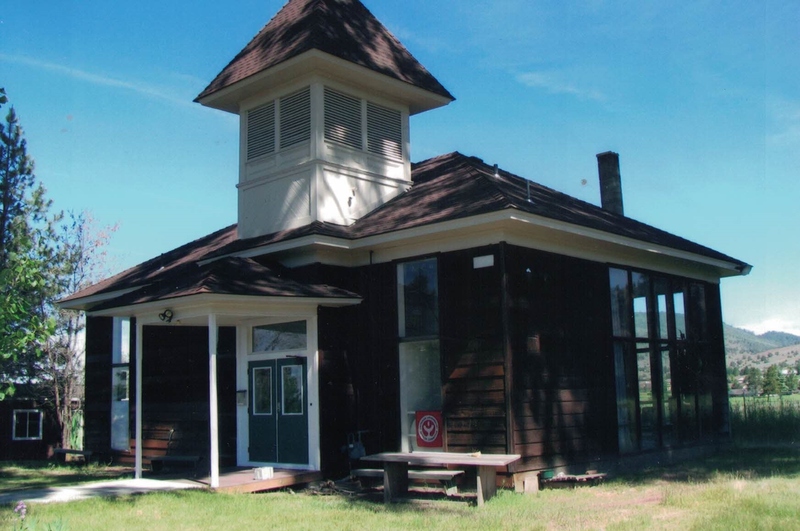 Her involvement with the Unitarian Universalist Church has been long and rich, beginning in Connecticut and continuing here in Klamath Falls as soon as the family arrived. “I was roped into being greeter for a future service by our founder Ben Kerns the first time I attended. He was charismatic and it was hard to say no to him! Over the years, I have served as religious education coordinator, secretary, president and treasurer (at the same time), briefly groundskeeper (I gave that up quickly as I could barely keep up with my own yard! ), newsletter editor, and general board member. Periodically I tried to escape from these duties, but some crisis or another kept pulling me back in: after the fire, I couldn’t help but ask Rev. Patt and Phil if help was needed; Patt asked me to take on communications. Then more recently, when the great and honorable Sally Wells asked if I might take over her role as worship coordinator, I HAD to say yes…a person doesn’t say no to Sally! “I have been both active participant in and observer of our Fellowship. I have seen it grow and diminish, and loved it and its people, and been frustrated by it. I don’t have a favorite sermon, but one of the best memories is of when we had the Tibetan Monks come and create a mandala in the center of our sanctuary. It was the most amazing and beautiful experience watching these souls praying, chanting and creating a beautiful and very intricate sand mandala, and then deliberately demolish it after blessing it with prayers of peace. That was a very meaningful lesson about the impermanence of all things. More recently, I have really enjoyed hearing Bill Martin’s services. Thanks Phil for bringing him in initially! September 23rd, 10:00 am The simple ceremony will include blessings from multiple faith traditions and cultures, singing, and is open to the public. Regular Sunday Service at 10:30 follows. A Peace Pole is the simplest of monuments – a wood pole with the words “May Peace Prevail on Earth” inscribed in several languages. The Unitarian Universalist Fellowship of Klamath County will host a re-dedication ceremony of their Peace Pole on Sunday, September 23rd, 2018 at 10:00 am. (( Join the event on Facebook! 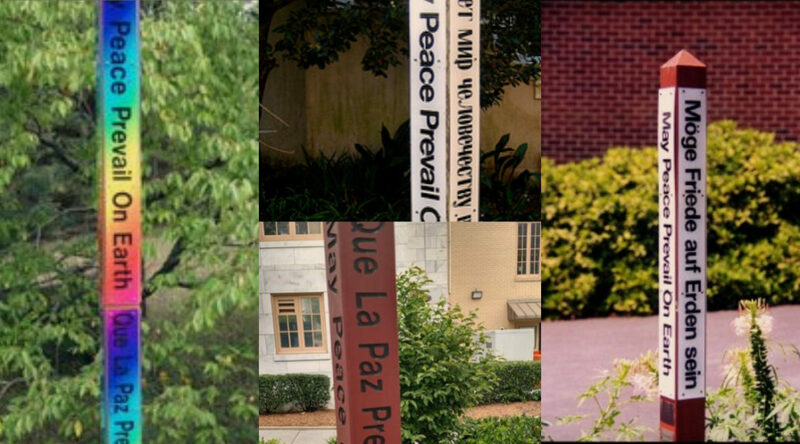 This particular peace pole was originally installed in June 1998 beside the former Pine Grove School building which in those days was owned by UUFKC and served as their meeting place. Twenty years ago, when Connee Pike-Urlacher and Robert Pike-Urlacher lost their second son, Baby Oliver (in utero) they chose the Peace Pole as a memorial. They chose the eight languages to adorn the pole with the message “May Peace Prevail on Earth”. Hebrew and Arabic were included for the two nations in a conflict at that time, Israel and Palestine, hoping for a peaceful resolution. The 1998 dedication drew people of many faiths and cultures who shared a beautiful summer day with one another, and heard inspiring speakers on peace between nations and peace between neighbors. 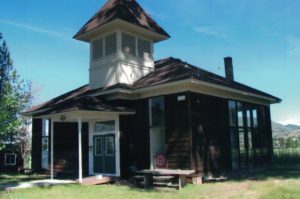 When the Pine Grove School building burned in 2011, the firefighters on the scene were able to rescue the Peace Pole from the blaze. It has lain in storage for seven years until this summer when a friend of the Fellowship restored the pole’s base and readied it for re-installation at the Unitarian Fellowship’s current home at 801 Jefferson st. The Peace Pole Re-Dedication ceremony is open to the public.